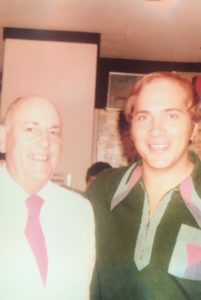 When my grandfather tended bar for the owners of the Cincinnati Reds in their luxury suite in the 1970’s, he had his picture taken with Johnny Bench. 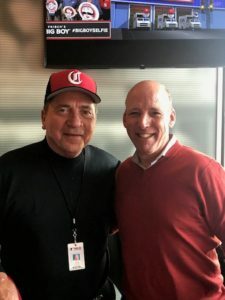 Today, I met Johnny Bench in the Dinsmore box and recreated the photo. Thanks to Brian Sullivan and George Vincent of Dinsmore. And special thanks to the greatest catcher of all time.